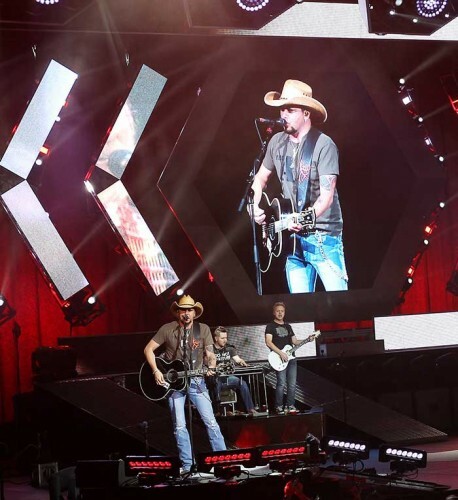 North America – Chris Lisle has designed the production and lighting for Jason Aldean’s current “They Don’t Know” tour and is using Elation Professional gear as part of a large lighting package. The country music singer has been on the road since late April and is playing a variety of venues across North America through the summer and into the fall. 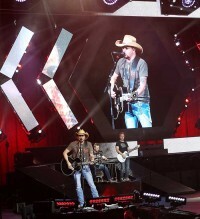 Jason Aldean has 19 country-chart number-one songs to his credit and was named Entertainer of the year by the Academy of Country Music in 2016. 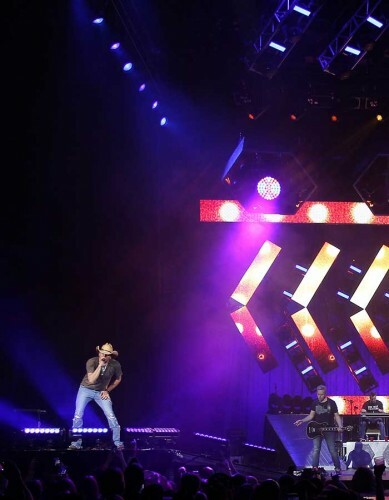 The “They Don’t Know” tour and new album of the same name have been highly anticipated by his wide fan base, who admires the entertainer for the range of emotions in his shows and blend of musical styles, anything from traditional country to more upbeat rock, R&B and even rap. Lisle has over 350 fixtures at his disposal as part of an industrial design that centers on the hexagon as a symbol of blue-collar grit and toughness. 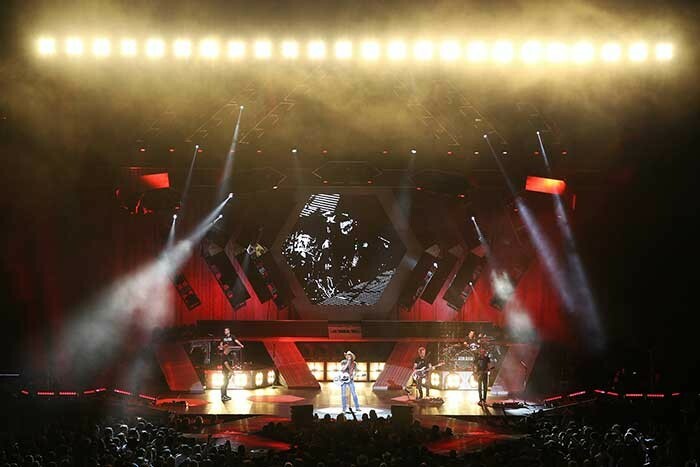 The six-sided hexagonal theme, which plays into everything from trussing to staging to video screens, gives a beautifully layered depth to the stage while providing a useful variety of angles from which to light the set. When Aldean moves wide stage right or left to connect with his audience, he is fronted by a line of ACL 360 Bars that Lisle can use for colour, eye candy or even beam effects. When playing the centre of the stage, light from the ACL fixtures broaden the stage look by defining the stage’s outer edges. 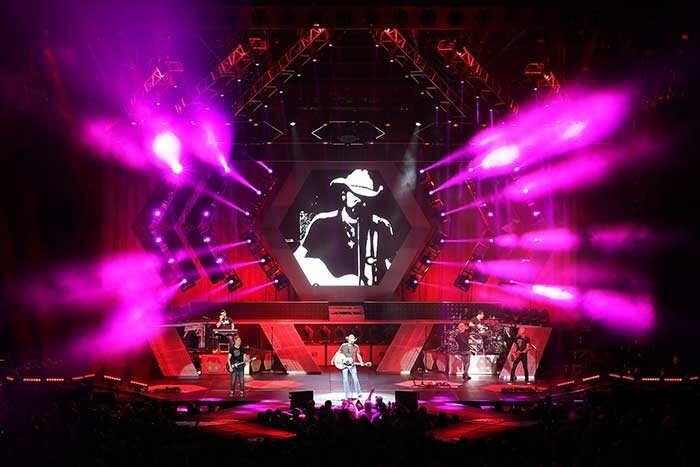 The “They Don’t Know” tour design has met with acclaim along the way and Lisle praises lighting director Keith Hoagland as well as lighting crew chief Jonathan Houle for their role. The “They Don’t Know Tour” continues through October 2017.